Throughout this Physiopedia resource we will be discussing and exploring the health and wellbeing needs of the homeless population in order to gain a deeper understanding about this contemporary issue. We will discuss the impact this has on physiotherapy practice. The resource is aimed at final year physiotherapy students as well as recently qualified physiotherapists. This resource should take approximately 10 hours to complete on a self-study basis. We will discuss five main topics; physical health, mental health, substance abuse, accessibility of health care and the implications to physiotherapy. We aim to make this as interactive as possible so, along with reading we have included role-play, quizzes, reflection and further reading around the topic. In 2014-2015, 28,615 people classified as "homeless" within Scotland. The homeless population are one of the most vulnerable groups of society, with more physical health complaints than the general population. They are also 6 times more likely to visit A&E than the general population. The health and wellbeing needs of the homeless population are an important issue to consider within physiotherapy. Despite the number of people classified as homeless is decreasing, the number of health and wellbeing needs associated with this population is growing. This is largely due to the population presenting with a number of co-morbidities which in turn makes this a complex caseload to work with. A full understanding of the health and wellbeing needs faced by this population will enable physiotherapists to understand their situation better. They will then be able to provide effective and efficient treatments within a short span of time as attendance, compliance and accessibility are poor. Before starting, reflect on the questions in the diagram below (figure 1) and test your existing knowledge on the homeless population. To provide a resource for final year physiotherapy students and newly qualified physiotherapists regarding the health and wellbeing needs faced by the homeless population in the United Kingdom. To provide a resource which explores the implications of homelessness on physiotherapy and how physiotherapy can help manage their health requirements. In order to meet these aims we have created four learning outcomes using Blooms Taxonomy. Blooms Taxonomy (figure 2 to the right) is a hierarchy of learning which can be used to classify levels of learning and set learning outcomes. As the resource is aimed at final year students and new graduates, the level of learning expected is much higher. Therefore, the learning outcomes and tasks have been set with this in mind. 1. Discuss the context of homelessness within the United Kingdom. 2. Critically discuss the main/key health problems experienced by the homeless population in the UK. 3. Evaluate some of the challenges that the homeless population face when accessing physiotherapy. 4. Critically reflect on the physiotherapist’s role in assessing and managing the health and well-being needs of the homeless population. Everyone has a different style of learning and this resource will aim to include various interactive elements to address these styles. A learning style is the way in which we learn the best. Figure 3 below shows the different learning approaches. If you do not know your preferred learning style you can take the VARK test (a free online resource) to find out your learning style. By incorporating different learning styles throughout this resource, we hope that it can not only be engaging for the readers but also a valuable learning resource. 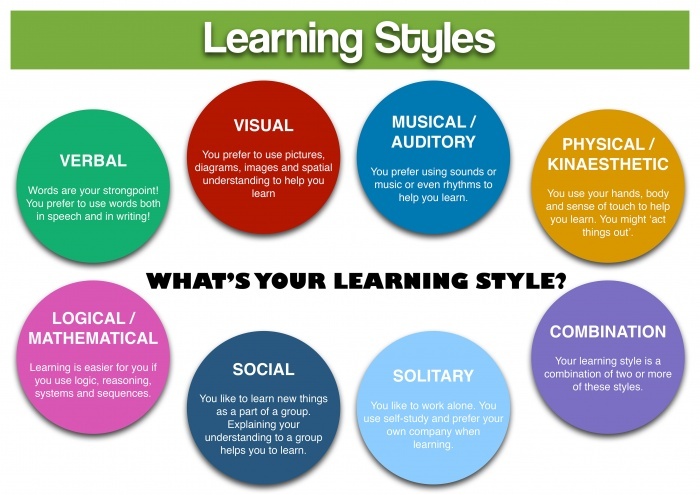 Figure 3: Different learning styles. By the end of this section you should be able to debate the issues surrounding homelessness in the United Kingdom, meeting learning outcome 1. This section should take 45 minutes to complete. It is widely thought that homelessness is just about those ‘sleeping rough’ and on the streets, however that is just a minority of the problem. A person can be classified as homeless if they do not have a permanent home. This can be anyone who is staying with a friend, in a B&B, a hostel or a temporary home. It is believed that the homeless population are some of the most vulnerable people in our society including those of ill health, low income, unemployment, isolation and relationship breakdown. The 2014-2015 audit results estimated there was 28,615 homeless people in Scotland, a number which has significantly decreased since 2009-2010 when 43,371 were estimated to be homeless. Single men make up a large proportion of the homeless population at 45% compared to single females at 21%. TASK: Follow this link to Shelter Scotland and read about the trend of homelessness within Scotland, who makes up the homeless population and the difficulty that the Scottish Goverment has with housing this vulnerable group. Through reading this you should be able to gain an understanding of how many homeless there are and the challenges faced trying to re-home this group. There are several different reasons why a person can become homeless. In 2014-2015, over half of homelessness applications made were due to relationship breakdown or being asked to leave their permanent address. 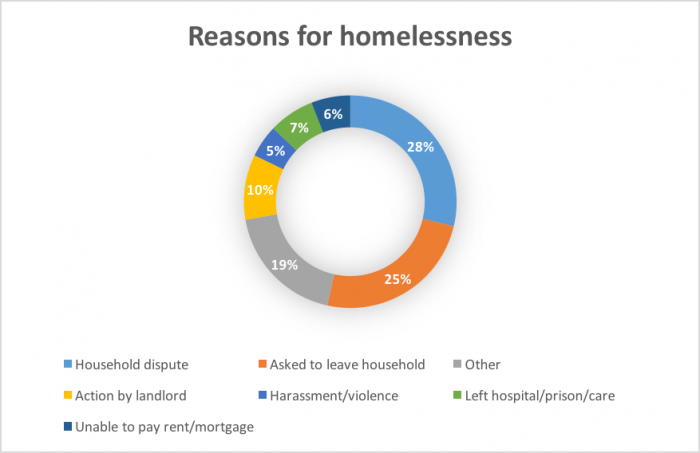 Below, figure 4 expresses the reasons behind homelessness in Scotland. Crisis found that most often males who were homeless, became homeless due to relationship breakdown, substance abuse or leaving an institute, for example, hospital, prison or care. More specifically they found that 18% were ex-prisoners, 8% were care leavers and 3% were ex-armed forces. Additionally, 32% of ‘rough sleepers’ in London were previously in prison. The homeless health audit results from 2014 highlights the health and well-being problems faced by the homeless population. It was found that 73% of homeless people reported some form of physical problem, 80% were suffering from a mental health problem, 39% explained they have suffered from a drug problem and 27% from an alcohol problem. In addition, 35% had been admitted to A&E in the past, with 26% having been admitted in the last 6 months. The Crisis report ended with the chilling quote “ultimately homelessness kills” putting an emphasis on the NHS services to deliver the best patient centred, compassionate care to this very vulnerable population. Additionally, Crisis believes new laws need to be enforced to give the homeless population emergency accommodation, written advice and real assistance for their medical needs. In 2013, it was estimated that 70% of homeless people being discharged from hospital did not have their health or housing needs met. After that, it was released that £10 million funding was given to the NHS and voluntary run homeless centres to help tackle health and housing needs after discharge from hospital. Annually, the government provides £470 million in trying to prevent homelessness, aiming to ensure the safety of those who are vulnerable. It is believed that a homeless person is 6 times more likely to visit A&E than someone with a permanent address and the cost of treating them is 8 times higher than the general population due to their complex physical, social and psychological needs which costs the NHS £85 million every year. Maslow’s hierarchy of needs explains that people are motivated to achieve certain goals. In this hierarchy, there are five stages. The lower level basic needs have to be achieved before it is progressed to the next level. It was explained that self-actualisation is desired in every person. However, due to various life situations, progression from the lower level needs are often hindered. As shown below, figure 6 is a visual descriptor of Maslow's hierarcy of needs. The majority of the homeless people are still seeking to achieve their physiological needs, such as food, water, shelter, warmth and sleep. When these needs are not met, they tend to overlook health issues, thus prioritising other issues such as employment and the search for food above seeking medical attention. As such, contributing to the lack of use of medical services in this population. The term 'homelessness' covers everyone who is sleeping rough, staying with a friend, at a B&B or at a hostel. In 2014-2015 there was 28,165 people in Scotland registered as homeless, with the main causes for homelessness a dispute within the household or being asked to leave their accomodation. Homeless people do not identify their health as a priority and as a result are 6 times more likely to visit A&E than someone with a permanent address. By the end of this section of the resource, you should be able to discuss the physical health problems experienced by the homeless population. This section will help you to achieve part of learning outcome 2. This section should take 1hr 30mins to complete. The Health Audit Findings found that long-standing physical health problems were more common in the homeless population compared to the general population. There could be many reasons for this including accessibility of health care, Maslow's hierarchy of needs, fear of judgment when attending appointments and not regarding their health as important. It is perceived by the general public that in order to register with a GP, a permanent address is required. However, this is not true. The rights of a homeless person states they can register with a GP, despite living in temporary accommodation or sleeping rough. In fact, the health audit findings highlighted that 90% of homeless people in the UK are registered to a GP. Figure 7 demonstrates the physical problems faced by the homeless population on a daily basis. The graph only displays the long-term health issues faced (longer than 12 months) and if the survey included short-term health problems, these percentages would be far greater. Fisher et al explained that due to the homeless population suffering a higher number of health-related problems compared to the general population, their functional ability and quality of life are reduced. Ultimately, this affects their life expectancy which, for a female is 43 and a male 47, resulting in 30 years younger than the national average. It was found that 35% of the homeless do not eat two meals a day. Poor diet or lack of food can contribute to a variety of further health complications that can affect a person’s readiness and engagement with physiotherapy. South Australian Health discussed the effects of poor nutrition on the body; which includes depression or anxiety, type 2 diabetes, stress and general fatigue and sleep quality. Low energy, irritability, lack of concentration and increase susceptibility to infection are all other consequences of poor diet on the body. Within the homeless population, acute musculoskeletal pain is often brought on by trauma such as fighting, falling or being hit by vehicles. Complications of these injuries can be exacerbated by unsanitary living conditions and can lead to chronic pain, infections and abscesses. Musculoskeletal pain such as low back pain are very common, particularly among those sleeping rough. The British School of Osteopathy (BSO) run a weekly centre that sees between 130 to 220 patients a day. They estimated that 38% of the homeless population have MSK injuries. The majority of them were being treated for acute and chronic neck and back problems. Referrals can be made for acute injuries to eliminate fractures and muscle/ligament tears. The BSO allocated time to discuss social and economic problems with patients and they are able to refer them on for further help. Fisher et al undertook an observational study looking into chronic pain levels in the homeless, using questionnaires in homeless shelters in Cambridge. 51.4% of the respondents reported pain in the lower limbs, 36.9% in the abdomen, back and pelvis. These were the common areas of pain reported. Neuropathic pain was found in 16.9% of the population surveyed (compared with 8% of the general population). Pain is a substantial problem in homeless shelter users: 71.3% reported acute pain, and 59.3% fulfilled the criteria for chronic pain, the mean duration of which exceeded 6 years. Fisher et al concluded that due to poor sleeping levels, decreased physical activity levels and poor analgesia control, chronic pain is substantially higher among this population compared to the general public. However it was difficult to distinguish whether being homeless was the cause of the chronic pain, or whether it started before the participants became homeless. Due to such a high proportion of the homeless population suffering from some form of chronic pain it is important that physiotherapists understand the chronic pain mechanism and ways to manage chronic pain effectively. Referring to chronic pain specialists may be beneficial for medication reviews. Oddy et al found that within the homeless population in the UK, almost half (47%) of homeless participants reported having a traumatic brain injury (TBI) compared to just 21% of the general population. This can leave them in a very vulnerable place and subsequently suffer impairments including memory loss, attention, impulse control and behavioural difficulties. Neuropathic pain is common within the homeless population and is caused by diabetes, HIV, hepatitis and liver cirrhosis. St Mungo's estimated that approximately 3,200 homeless people are living with diabetes in the UK. However they mentioned that many more are living with it and are not receiving adequate health care or advice. Alcohol is well known to have adverse reactions with diabetes medication and can often result in worsening of nerve damage and cause medications to become less effective. Homeless Link estimated that 7% of the homeless population suffer from respiratory conditions. 15% complained of chest pain or breathing problems for over 12 months, compared to 21% for less than 12 months. Smoking is very common within the homeless population and it is one of the largest contributors to developing respiratory disorders in particular chronic obstructive pulmonary disorders (COPD) and in worse situations, lung cancer. Various other conditions fall under COPD such as bronchitis and emphysema, in which the homeless population are more susceptible for. Smoking can cause an increase in bronchial secretions and a decrease in mucociliary clearance therefore, resulting in an increased effort to clear the patient’s secretions and a longer healing time for infections. With the added risk of developing pneumonia and other chest infections, managing these appropriately can provide difficult especially for those living in unsanitary, overcrowded areas or sleeping rough in the cold weather. Physiotherapy can play a significant role in aiding chest clearance and educating those with respiratory conditions. Physiotherapy advice can help to clear the secretions and reduce the work of breathing. If you suspect that your homeless patient may be suffering from a chest infection you may need to adapt an exercise programme to his/her lifestyle and provide advice as necessary. Self-harming is very common within the population group, Pluck et al. found that 68% of homeless people have self-harmed at some point. Wounds which result of self harming can easily become infected and pose a serious health risk if the individual has difficulty accessing the healthcare facilities. HIV and heapatitis C (Hep C) are both common infections amongst the homeless with recent studies showing up to 36% of the homeless suffer Hep C and 21% with HIV. Physical exercise among the HIV/HEP C population is proven to decrease further chronic health related problems. Physiotherapy can help with HIV through maintaining and improving their level of physical activity and functional ability. Furthermore, physiotherapy can also help with preventing complications when appropriate advice and education regarding physical function and physical activity are provided. Soft tissue injuries such as abscess’ and cellulitis are very common infections in the homeless group, particularly if they are injecting drugs into muscular areas. This can also cause muscular injuries which can present as swelling and tenderness around the injected area. This is important to be aware of during the physical assessment, particularly if the injury is presenting as a muscle strain; infact it may just be a side effect of drug use. TASK: Formulate a mindmap which illustrates the physical health complaints of the homeless (you can do a list if you prefer). Try to include reasons why their physical health may not be regarded that important to them. This should give you the chance to reflect upon the physical complaints that a homeless person may present with. TASK: With chronic pain being so common amongst this group, it is essential to understand the chronic pain mechanisms and approaches when assessing and treating it. Follow this link to "Chronic Pain: Mechanisms and Treatment" by Priest and Hoggard to explore and evaluate the different kinds of changes happening within chronic pain and how it can be managed appropriately for this group of patients. A permanent address is not requried to register with a GP. Homeless people had a reduced life expectancy; 47 for males and 43 for females. 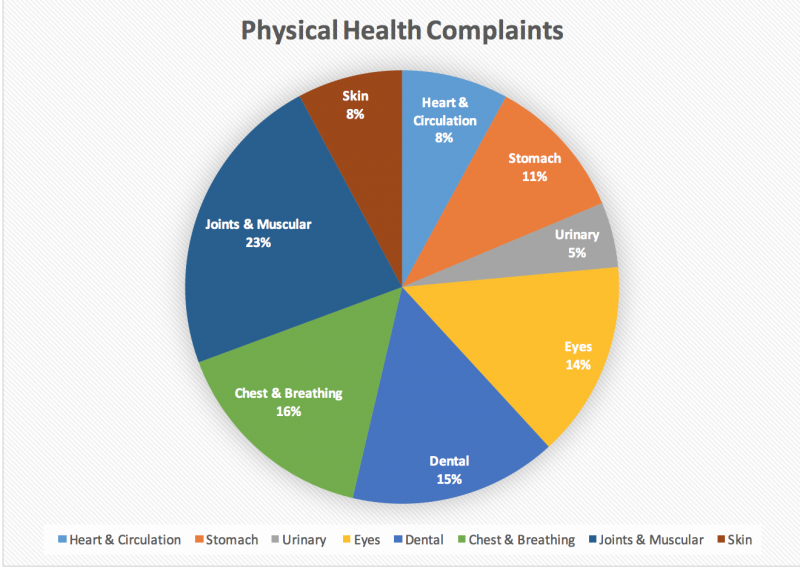 Muscular pains, chest problems, dental issues, eye problems and stomach complications are among the main physical health complaints by the homeless. In this section you will learn about common mental health conditions experienced by homeless people and how these affect them, helping to achieve outcome 2. This section should take 1hr 15mins to complete. Being in affordable, stable housing has been shown to have a positive impact on general health. Therefore, living in poor housing or being homeless can increase the risks of having a mental health problem or make an existing one worse. Mental health problems have been found to be a cause of long term rough sleeping and also as a result of becoming and remaining homeless. Those who are chronically homeless suffer more from mental illness than those who are periodically or newly homeless. Mental illness amongst the homeless are found to be two times higher compared to those in the general population and that at least half of the homeless population suffer from a mental illness. Anxiety, depression and mental distress are commonly experienced and these conditions are more prevalent among the homeless than the general population. 1/3 of those living in hostels have been found to have severe mental health problems such as personality disorders, and that as many as 8 in 10 suffer from anxiety and depression. Amongst the street homeless, psychotic disorders are found to be 50-100 times higher compared to the general population. When looking at those who have had a long, uninterrupted spell of homelessness they are shown to have increased anxiety, paranoia and psychosis. Adolescent homelessness: disruptive behaviour disorder was found to be the most common and this was more prevalent among boys than girls, with the condition decreasing as they got older. A third of the adolescent population would qualify for a diagnosis of attention deficit disorder and about a fifth for depression and mania. Figures for the “hidden” homeless and the conditions commonly experienced by them have not been accounted for. All these figures show that mental health is common among the homeless population. However, the prevalence of conditions is quite different amongst the different types of homeless. 14% have self harmed as a result of their mental health problems, compared to 4% of the general population. In the adolescent homeless population 45% admitted to attempting suicide and this was more common amongst girls in comparison to boys. TASK: In order to give yourself a better understanding of how mental illness affects those suffering from it, watch “I had a black dog, his name was depression” by the World Health Organisation. Once you have finished watching the video, spend 30 minutes reflecting upon one difficulty the homeless population may face. TASK: We will now get you to complete a short quiz on mental health conditions amongst the homeless population. After completing this task you should have a better understanding of common conditions and coping strategies. Find answers here: File:MH answers.pdf. This next section will complete learning outcome 2 by making you more aware of substance abuse and the problems associated with this within the homeless population. This section will take 1hr 15mins to complete. Substance abuse refers to the intake of alcohol or illicit drugs on a regular basis that affects a person’s cognitive, behavioural and physical abilities. It is believed that homelessness and substance abuse co-inside and thus should be treated together. It is unknown whether substance abuse causes the homelessness or whether being homeless leads to substance abuse. Substance abuse can affect one's mental and physical health leading to very specific health care needs that are not necessarily met through mainstream care. Edens et al found that there were similar rates of drug abuse between men and women. The homeless population often turn to substances to cope with various situations or as a way to ‘treat’ their mental health condition. A study by Healthlink found that participants from a homeless population who were referred to a methadone programme or alcohol detox programme by their GP did not always attend as accessibility was difficult. Below the table describes physiological changes caused by taking drugs. The short-term effects of taking drugs can impact the assessment and treatment techniques used by various health professionals involved in the patients care. Physiotherapists should be aware of these symptoms to provide the best care possible and seek medical attention if deemed necessary. Behavioural red flags including low compliance rate, missing appointments, sudden changes in mood and either excessive fatigue or energy are also signs to be aware of that someone may be taking drugs. Substance abuse can also cause physiological changes to the body which delays wound and soft tissue healing. For the elderly; the effects extend to memory loss, confusion, tremors and falls. Korsakoff’s syndrome is a secondary complication of long term alcohol abuse and something that Physiotherapists should be aware of when assessing any patient with a history of alcohol use. Korsakoff’s syndrome is a lack of the B1 vitamin, which is also known as thiamine which affects the brain and nervous system. The main symptom is short-term memory loss but patient can have signs of personality changes, lack of ability to understand tasks, lack of insight into their personal problems and condition and confabulation when the individual “makes up” memories to fill in gaps in their memory. Unlike Alzheimer’s, Korsakoff’s syndrome can be reversible. However, the process is very slow and requires motivation from the patient. Any allied health professional who is in contact with the homeless population should be aware of how Korsakoff's syndrome can affect a person's behaviour. Amongst the homless, Kosakoff's syndrome was on the most frequently reported issues within a small sample. Long term substance abuse has long term effects on the liver, kidneys, stomach and respiratory whilst also putting the individual at danger of cancer, HIV or AIDS, neurological effects and mental health problems. Alcohol-induced cirrhosis is whereby the liver becomes permanently scarred and damaged thus cannot function properly. This can result in symptoms such as weight loss, fatigue, nausea, confusion and muscle weakness. All of these can have an impact on the physiotherapy treatment provided and the patient’s compliance to work with the Physiotherapist. As shown in figure 9 below, Prochaska and DiClemente's stages of change model explains one’s readiness for behavioural change. This model consists of five stages: precontemplation, contemplation, planning, action and maintenance. Those who are in precontemplation stage have no intention to change their behaviour. It could be due to a lack of awareness, unwillingness as well as previous failed attempts. The people in contemplation stage are considering a change in behaviour. They could be thinking about the pros and cons of changing their behaviour. People in the contemplation stage are more likely to seek for assistance and enquire further information on possible solutions. A study by Velasquez et al. shows that the majority of the homeless population with alcohol and drug abuse are in precontemplation and contemplation stage. Only 4% of alcohol abusers are in the action stage and are actively trying to quit drinking/substance abuse. Figure 9: Stages of change model. TASK: Read chapter 2; pages 50-52 of Goodman and Snyder’s book “Differential diagnosis for physical therapists.” This section goes into depth about the affects of substance abuse, the effects on the body and tips of how to identify when a patient is a substance user. You can access the book here. Substance abuse refers to the intake of alcohol or illicit drugs on a regular basis that affects a person’s cognitive, behavioural and physical abilities. Homeless population present with more complicated cases than those of the normal population. Short term effects of drug effect assessment and treatment of a patient by the Physiotherapist and other health professionals. Substance abuse causes physiological changes to the body which delays wound and soft tissue healing; out with this the substance abuse means that they perceive pain as higher. 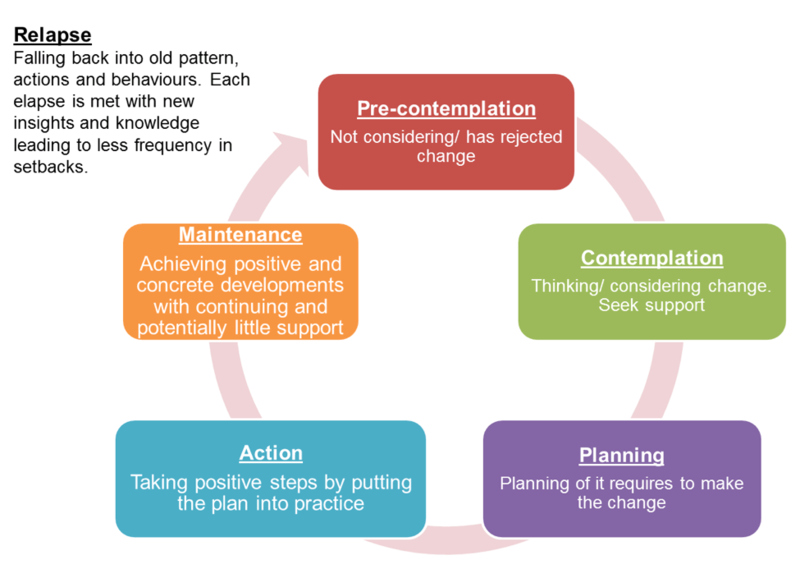 Prochaska and DiClemente’s stages of change model shows the behaviours of people who may or may not change and splits this into five stages: Pre-contemplation, contemplation, planning, action and maintenance. Those with cognitive issues from substance abuse can present with an increased likelihood of causing an altercation during treatment which the Physiotherapist needs to be aware of. By the end of this section you will be able to evaluate the challenges faced by the homeless population with regards to accessing healthcare. To complete learning outcome 3, this section on accessibility will take 1 hour. The homeless popoulation are predisposed to multiple health issues which are very much related to their lifestyles. Findings from the national audit Homeless Link, showed that 73% of the surveyed homeless population reported having physical health problems and 90% of them were registered with a General Practitioner (GP). However, a significant amount of them reported not receiving the help for their health issues. More than 15% of the homeless people surveyed were not receiving any support even though they present with physical health problems. Of which, 17.5% of those with mental health problems and 16.5% with alcohol issues seek for support yet they are not receiving it. Of all those being surveyed, 7% of them reported that they had been refused access to a GP or dental care within the past year. With the majority of the homeless population being registered under a GP, health care services should be within reach. In reality, healthcare needs of the homeless people are not met. There are various factors that can contribute to the lack of access to healthcare services in the homeless population. Some intrinsic factors include their fear and denial of poor health, problems communicating their health needs, self-esteem issues and lack of understanding of the health care system. A study done by Geber shows that 31% of the homeless respondents thought that their medical conditions are not serious enough to see a GP, 11% of them claim that they will “tough it out” by themselves and 8% of them do not think that they are ready to handle their health issues. Some of them felt that they are neglected from the healthcare system and a group of them felt that they were “labelled”. Patients who are homeless often describe their experience at the GP as “humiliating” due to insensitive comments made by the GPs and being judged by the practice staff and other patients. It was also noted that some of the homeless people felt that they are being discharged prematurely even though their medical needs are not resolved. Therefore, the homeless population do not have a positive impression of health care services and that the quality of care for them are discriminatory and compromised. As such, many homeless people would rather not seek out health care services. A study done by Nickasch and Marnocha mentioned that the great majority of homeless people have an external locus of control, which means that they attribute their experiences to external circumstances that is beyond their control, such as luck and fate. Having an external locus of control can be one of the major factors that lead to their negative perceptions of the health services, and therefore deter them from using the services available. There are also extrinsic factors such as rejection upon visiting the local GP and also the inability to attend consultations during daytime. Healthlink undertook a survey within the homeless population and asked the participants to describe their experiences within the healthcare system. A number of themes arose within the group including; lack of training and understanding about homelessness, no continuity of care, experiences of stereotyping and discrimination, GP’s not having enough time to look at the patient holistically and a constant feeling of being stigmatised. However, it is important to note that different countries have different health policies. Due to the limited number of UK research done on the topic of homelessness, some articles from other countries such as Canada and US were referenced above. There will be differences in the perceptions and experiences of the homeless population in regards to health services due to the health policies differences in each countries. Limited health care accessibility for the homeless population can lead to significant social and economic impact on society. Poor access to health care often leads to delayed clinical presentation and diagnosis. As a result, many of the medical conditions deteriorate which requires secondary care interventions. This figure contributes to the high estimated cost of £85 million spent on health care for the homeless people annually, which is equivalent to £2,100 per homeless person compared to £525 per person from the general population. Another pertinent issue caused by the lack of accessible health care services for the homeless population is the usage of emergency services. Firstly, people who are homeless do not have proper housing, putting them at higher risk of being involved in violence, getting victimised on the streets and also predisposes them to contracting diseases such as Hepatitis. On top of that, many of the homeless people used the Emergency Department as their only source of health care. Those who are not registered to a GP turn up in the Emergency Department for non-emergency complaints. One attributing factor to such tendency is that the emergency department provides services all day and it does not require an appointment. Another reason for frequent admissions to the Emergency Department is due to inadequate discharge from health care during the previous hospital visit. This leads to readmission to the hospital shortly after as patients who are homeless find managing their health needs unmanageable on the streets. Accessibility of health services is a problem faced by the homeless population throughout the UK. An annual service such as Crisis at Christmas offer services for the homeless including physiotherapy. This is a volunteer run service which includes meals, shelter, entertainment and health services over the festive period. In Edinburgh, the Salvation Army provides a weekly service called StreetSmart that provides physiotherapy for the homeless population. As physiotherapy students and newly qualified physiotherapists this is potentially an area of practice that can be expanded on however we may be treating the homeless population in hospitals. TASK: Based on what was mentioned above, discuss the role of health care professionals in improving the accessibility of health services to the homeless people. 'Taking into consideration that a great majority of homeless people have external locus of control (e.g. Extracted from Nickasch and Mamocha: “I am totally a victim of my circumstances...right now I lack complete free will...life is dictating me”), recommend ways in which health care professionals can consider to improve the comfort levels of the homeless people during treatment sessions. 1) Intrinsic and Extrinsic barriers to assessing health care services. 2) What are some of the misconceptions that the homeless people have towards health care services? 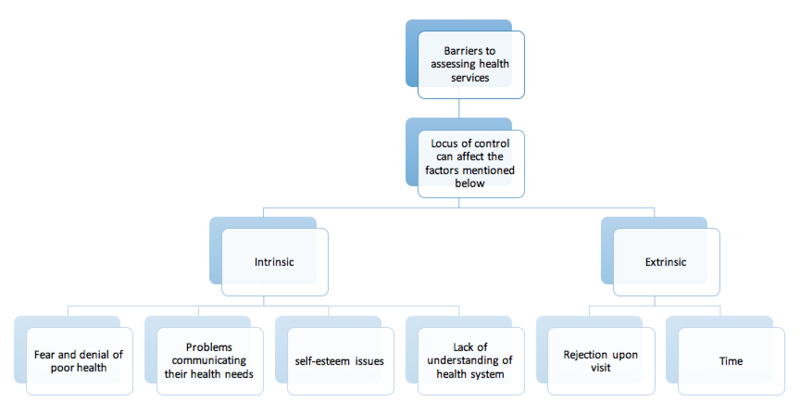 Figure 10: Summary of the barriers to accessing healthcare. Within this section you will be given an introduction to some ways physiotherapy can help with the problems the homeless population face, as discussed previously in this resource. This section will achieve learning outcome 4 and should take 2 - 2 and a half hours to complete. Lowe and Gibson state that it is the MDT’s responsibility to plan a prevention strategy to combat homelessness. Community based prevention is the best way forward to combat the problem before they reach acute problems. Before assessing the patient, it is important to gain an understanding and level of trust. With the homeless population, we as healthcare professionals should understand where the patient is living and where they normally stay the night. Finding out information such as when the last time they had a permanent address was, their last visit to a healthcare professional, their eating and sleeping patterns, how much physical activity they participate in and their drug (prescription or illegal) and alcohol consumption levels. These can all have an impact on the Physiotherapy assessment and treatment provided. In 2014, Dawes undertook interviews with the homeless to find out their experiences of physiotherapy provided by Crisis at Christmas. Dawes found that 72% of the participants felt satisfied with the education and treatment provided, with 82% reporting they would access physiotherapy in the future due to having a better understanding of what it involves and the benefits. However, despite this participants reported that being referred through the GP is a long and extensive process and often puts them off receiving the care they require. Dawes concluded that services such as the Crisis team play a very important role for helping the homeless understand physiotherapy and how to access healthcare. When managing patients that are homeless we as physiotherapists have to ensure that we treat them with the same respect and dignity as other patients in different situations. Christiani et al. found that homeless patients do not attend healthcare appointments because they may be treated with disrespect and be judged for the situation that they are in. Equally, it is essential to recognise a substance abuse problem in order to establish a good client-therapist relationship with the aim of helping to manage the patient’s treatment effectively. Dawes et al. states that we often make no effort to gain this information from patients and that patients are unlikely to provide the information willingly. Below table 2 demonstrates the do's and don'ts when communicating with the homeless. The colomn on the left suggests techniques when assessing and listening to the patient's needs however the colomn on the right explains what not to say or do around the homeless as it is important to not make the individual feel unwelcomed. Table 2: Effective communication with the homeless. Task: With a fellow student or colleague it may be helpful to practice some communication techniques. Think about the types of questions who would ask and your body language during these conversations; remembering that this population are often wary of being judged and so don’t always share information. Below are some scenarios you could consider. In 2007 the National healthcare for the homeless highlighted that when health professionals were working with the homeless it is important to include goal setting. It is a useful method to get the patient involved with their own management of health and therefore they did not feel devalued. Additionally, the patient had an increased understanding of the importance of their health problems without directly providing a diagnosis and treatment plan. This often provides the patient with the first step of confidence to make future changes to their health and lifestyle. Education should not be limited to MSK problems, smoking cessation and alcohol consumption but must also include physical activity levels within this population. As a large proportion of the homeless suffer from peripheral neuropathy due to substance misuse, the individual should take extra precautions regarding exercise. Walking is the main activity undertaken by the homeless population therefore education should be provided on the importance of suitable footwear and precautions to take during damp conditions. Education should also be given on taking the stairs instead of the escalators/lifts and if appropriate the health care provider should keep an exercise chart. Physical activity should be an important part of everyday life and should be encouraged within the homeless population. Started in 2001 in the city of Edinburgh the homeless world cup’s missions is to inspire homeless people to change their lives for the better through the use of physical activity, in this instance, football. Since it started it has impacted over 200.000 homeless people. Setting up a world class tournament and working with over 70 national partners gives the homeless population a chance to participate together and be off the streets for a while. They give the homeless a sense of relationships and responsibility by having them work in a team with others and giving them set times for training and games to attend. A survey taken by the Homeless World Cup showed that 94% said that the tournament positively impacted their lives. 83% improves social relationships with family and friends. 77% changed their life significantly because of their involvement in football and 71% continue to play the sport. Throughout this resource we have discussed various conditions and problems that the homeless population present with during assessment and/or treatment. It is important to be aware of these and know how they impact the service we provide. The majority of the homeless population requiring physiotherapy often present with more complex cases compared to the general population. They have more complex cases due to their lifestyle, the key health problems and lack of accesibility which may have exacerbated these problems. Therefore, this can impact appointment times as these may be longer to ensure we provide them with information tailored to their specific health and well-being needs. The National Health Service (NHS) may be able to provide the care needed in the acute setting but it may not necessarily be as effective. This is where physiotherapy can make a significant impact in their life by having a holistic approach. Physiotherapy clinics can be a safe and supportive environment in an otherwise chaotic life. Despite this, the homeless population’s compliance with treatment and regular attendance will be low as they do not have a permanent address and have difficulty in accessing transport to make appointments. Substance abuse can directly affect physiotherapy practice. Baltieri et al. found that substance dependence can result in a poor adherence to treatment resulting in a reduced quality of life and the patient not receiving the care they deserve and require. Patient’s under the influence of alcohol or drugs often perceive their level of pain to be higher. Long-term substance misuse can also impair and slow down the healing process which results in a longer time spent receiving treatment. 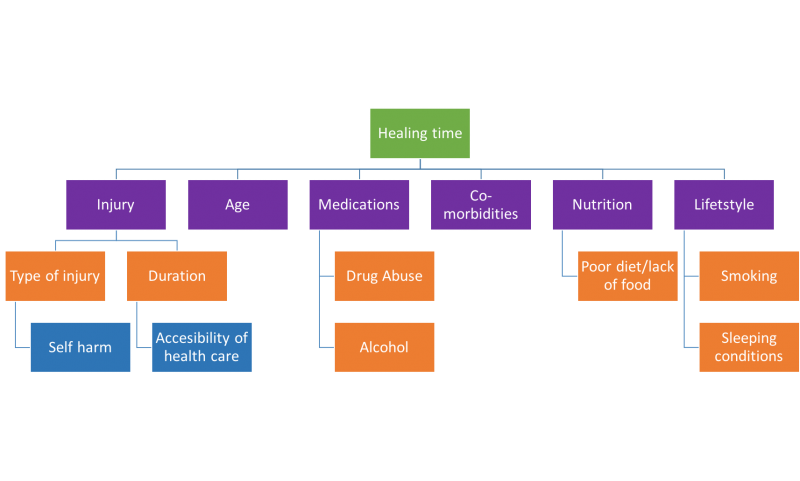 Figure 11 highlights the physiological changes (purple) and the impact of homelessness (orange) on the healing process; this has been adapted from Swezey. Alcohol affects our bones, muscles and joints. Alcoholism can lead to osteoporosis due calcium leaking from the bones causing an increase in joint inflammation along with muscle atrophy; which increases the pain experienced. Substance abuse can impact the way a person acts and behaves when receiving treatment. This is something that one has to be aware of when assessing and treating a patient. Their behaviour can sometimes be unpredictable and as such we should be aware of this. The patient’s behaviour may not necessarily be substance related but could be as a result of a mental health condition. Figure 11: Impact of homelessness on the healing process. There is often a stigma associated with mental illness which means that this population have an increased risk of being unable to access important health services. About 45% of the homeless population feel that they require more support in coping with mental illness. Although, Goodman and Fuller state that many patients will fail to disclose this information during the assessment process for fear of being judged and discriminated against. Physiotherapist’s have to be aware of any orange flags that come up. Orange flags are related to any mental health conditions. Physiotherapists may not be aware of them if the information is not disclosed. Physiotherapy treatment can place various demands on a patient since we work in close proximity with them as well as providing lots of encouragement. This can make the whole physiotherapy experience very overwhelming for the homeless population. This may increase the likelihood of an altercation during physiotherapy either from a mental health condition or substance misuse and is something all physiotherapists should be aware of. When considering the physical health problems they often become worse due to the long waiting times. Patients will often arrive in severe pain and the only way to control their pain may be through the use of different substances. Patients will often present with multiple health problems and as such we should treat the one that impacts their health and wellbeing the most. The therapist and patient may have different views on which this may be, however this is where patient centred care comes into play. Since patients may not always be able to attend treatment sessions due to difficulty in accessing the service it may be best to focus on getting the patient to self-manage their treatment by offering advice and education. When thinking about the health and wellbeing needs of the patient we should be aware of red and yellow flags as well. These are serious pathologies and thoughts, feelings and behaviours respectively. By considering these we are able to provide patient centred holistic care when they receive physiotherapy treatment. Some of the homeless population are registered with a GP but it has been estimated to be 40% lower than the general population. Therefore, it is important to encourage GP registration amongst this population in order for them to have access to a variety of services. However due to their unsettled lifestyle and not having a permanent address may mean accessing clinics may be difficult. If they have to travel too far they may not have the money to pay for transport and thus cannot access the health facilities they need. How would homelessness effect your daily life? Would being homeless impact your health and wellbeing needs and how? How would it effect your relationships? Following this, you should be able to consider the impact that homelessness has on every aspect of life and how challenging it is for the individual. The Shelter webpage includes several articles, videos and examples of the challenges faced for the homeless, how to prevent homelessness and how to help this vulnerable population if you would like to find out more information. Now you have had the chance to reflect and think aboout homeless peoples perspectives of their situation, have a look at the following case study. TASK: Looking at the following case study identify their main health and well-being needs and how these will impact physiotherapy practice. Mr Cooper (pseudonym) is a 25 year old male who has recently left his home after a failed relationship. He is currently ‘couch surfing’ amongst friends. He has turned to alcohol to help with the stress and low mood as a result of his situation. As a result of the alcohol abuse, the patient was in numerous fights and the latest one has left him with severe cuts, several bruises and a swollen ankle. Mr Cooper attended A & E to have his cuts looked at but failed to mention his swollen ankle. Several weeks down the line he attended physiotherapy about his painful ankle. Are there any potential flags that Mr Cooper has? Do you think that Mr Cooper may have a mental health condition? Why do you think that he did not mention his ankle during his A&E visit? Consider Maslow’s law of Hierarchy. What are some of the other needs (health and wellbeing) for Mr Cooper? Will his alcohol abuse affect any potential treatment that you offer? If so, explain. Try and consider Mr Cooper's needs and wishes from his perspective. What would be the most important thing for him? Communication is important to gain trust between the therapist and patient in order for the patient to feel comfortable with disclosing details surrounding their situation. Due to difficulty accessing healthcare, physiotherapists focus on educating this population regarding self-management of their health and well-being needs. The homeless population often have complex cases where they may not want all things treated and thus physiotherapists have to look at what is important to the patient which may differ from what we believe is the main concern to their health. Physiotherapists have to be aware of the red, yellow and orange flags which will impact the service provided. 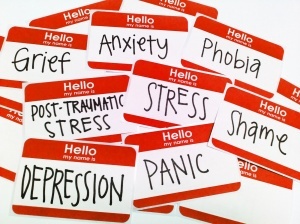 The main things to be aware of are any mental health conditions or substance abuse as this can affect their behaviour. This section is aimed at giving you a brief introduction to some of the treatment techniques that can be used when assessing and treating the homeless population. For more information on these techniques, please follow the links at the end of each technique. This section should take approximately 30 mins. Cognitive behavioural coping-skills training (CBST) is aimed for those who are alcohol dependent and incorporates a variety of treatment techniques. CBST is aimed at changing a patient’s behaviour by adapting the way they manage the problem rather than to get rid of the problem. In relation to substance abuse, it aims to discover the underlying reason for turning to various substances and finding ways to manage this without relying on substances. There are six phases to CBST. This may pose difficult for the homeless population with regards to access and the ability and willingness to keep attending for longer and more sessions. There are also various relatable principles between CBST and physiotherapy. If you would like to access further reading regarding CBST in physiotherapy practice, follow these links: MIND and Physiopedia CBT. Motivational interviewing is a patient-centred approach to help facilitate health related behaviours for example to stop drinking and/or smoking, participating in more physical activity or discuss weight management. It is used to motivate the individual to change and is often used within the homeless group with those suffering from mental illness, substance use or have had a traumatic experiences. Motivational interviewing is used by Physiotherapists working with the homeless in Edinburgh as part of their treatment and discuss with the patients what the effects of their behaviours has on their health. The Homeless Resource Center appreciated that all health providers who come into contact with the homeless should use this technique to help elicit change. If you would like further information regarding motivational interviewing, you can watch this video for tips on how to apply it to practice. If this is something you are interested in, you can apply for courses for CPD and to enhance your knowledge around the topic. Brief interventions is a similar theory to motivational interviewing, it is a technique used to initiate change for unhealthy behaviours or attitudes. However, unlike motivational interviewing, brief interventions is about providing the right information at the right time. It can be used to raise awareness, share information and promote thinking about health behaviours. Brief interventions within the adolescent homeless population is a subject which has been investigated in terms of substance abuse, self harm and use of the health services by Baer et al. At a three month follow up of the intervention, participants recorded a reduction in substance abuse however no changes in self harm. Use of the services increased during the intervention however there was no significant change from baseline at a 3 month follow up. The study therefore lacked any carryover effect and thus patients would require brief interventions continuously in order to gain full benefits. The study concluded that further research is required, particularly among the adolescent homeless group. The Department of Health highlighted that all health professionals should have basic training in terms of brief interventions for alcohol/drug misuse and smoking cessation. This was provided in the guidelines to help promote health behaviours and reduce health inequalities. Although these guidelines were produced in England the Scottish guidelines would benefit from including this with the aim to reduce health inequalities within the homeless population. When undertaking the research to complete the resource, it was found that evidence surrounding the homeless population was limited. This is due to the homeless population being a very difficult population to study in terms of ethics and willingness. There is some evidence depicting the health of the homeless, but it is limited on how physiotherapy can make an impact on the population with regards to their health and well-being needs. Homelessness lacks systematic reviews and cohort studies which means finding good solid evidence about this population is difficult. When looking at accessibility of homelessness within the UK the evidence was limited due to the majority of the studies being conducted outwith the UK. For example, a lot of studies are conducted in the United States of America where the general population have to pay for their healthcare; which will impact the number of homeless people accessing healthcare. However, in the UK the NHS is a free health service, meaning that some of the findings of the studies used weren’t applicable to the homeless population within the UK. In order to establish the physiotherapist’s role within the homeless population, one considers the main health problems of the homeless and how these would be considered with regards to physiotherapy treatment for the general population. Even though there has been a drop in the size of homeless population as mentioned in the 2014-2015 audit results, there remains a pressing need to provide adequate health services for homeless population. As mentioned above, there is a wide range of health issues faced by this population. On top of being vulnerable to these health issues due to their lifestyles, they are facing multiple intrinsic and extrinsic barriers to accessing health care services. Therefore, it remains one of the contemporary and emerging issues that healthcare professionals need to consider. Discuss the context of homelessness within the United Kingdom. Critically discuss the main/key health problems experienced by the homeless population in the UK. Evaluate some of the challenges that the homeless population face when accessing physiotherapy. Critically reflect on the physiotherapist’s role in assessing and managing the health and well-being needs of the homeless population. ↑ University of Arkansas. Using Bloom’s Taxonomy to Write Effective Learning Objectives. 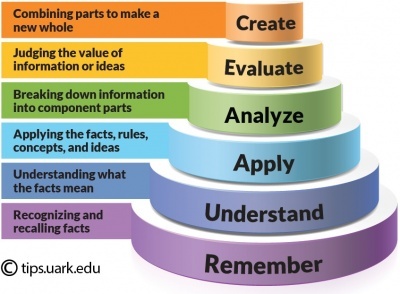 http://tips.uark.edu/using-blooms-taxonomy/ (accessed 26 January 2016). ↑ 4.0 4.1 Linkedin. The most important thing to learn! https://www.linkedin.com/pulse/most-important-thing-learn-chelsey-rowe (accessed 26 January 2016). ↑ 11.0 11.1 11.2 The Homeless Hub. Theories to support the work. 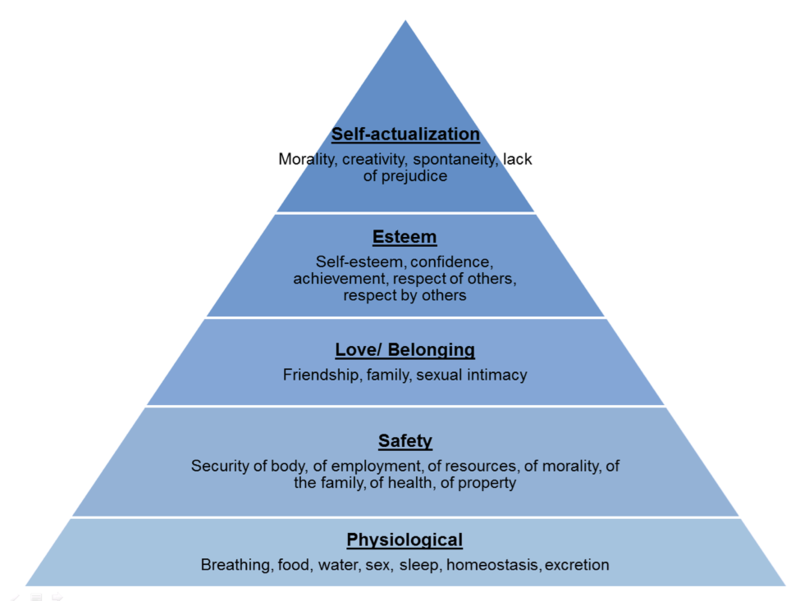 http://homelesshub.ca/toolkit/subchapter/maslows-hierarchy-needs (accessed 25 January 2016). ↑ Hwang S W. Homelessness and Health. Full version:http://www.ncbi.nlm.nih.gov/pmc/articles/PMC80688/ CMAJ: 2001;164(2):229–233 (accessed 21 January 2016). ↑ The British School of Osteopathy. Health for people who are homeless. www.bso.ac.uk (accessed 21 October 2015). ↑ Xavier RF, Ramos D, Ito JT, Rodrigues FMM, Bertolini GN, Macchione M, de Toledo AC, Ramos EMC. Effects of Cigarette Smoking Intensity on the Mucociliary Clearance of Active Smokers. Respiration. 2013; 86:479-485 http://www.karger.com/Article/Pdf/348398 (access 29 December 2015). ↑ Pluck G, Lee KH, Parks RW. Self-harm and homeless adults. Crisis 2013;34(5):363-365. Full version: http://www.ncbi.nlm.nih.gov/pubmed/23685336 (accessed 27 January 2016). ↑ Beijer U,Wolf A,Fazel S. Prevalence of tuberculosis, hepatitis C virus, and HIV in homeless people: a systematic review and meta-analysis. The Lancet Infectious Diseases: 2012;12(2):859-870. Full version: http://www.ncbi.nlm.nih.gov/pmc/articles/PMC3494003/ (accessed 27 January 2016). ↑ World Confederation for Physical Therapy. Physical therapy, HIV and AIDS - resources and links. http://www.wcpt.org/node/33479 (accessed 10 January 2016). ↑ 25.0 25.1 25.2 25.3 Goodman C and Snyder T. Differential Diagnosis for Physical Therapists. 5th ed. Missouri: Elsevier Saunders. 2013. ↑ Priest TD, Hoggart B. Chronic Pain: Mechanisms and treatment. Current Opinion in pharmacology. 2002;2(3):310-315. http://ac.els-cdn.com/S1471489202001649/1-s2.0-S1471489202001649-main.pdf?_tid=ccb66c7a-c5c0-11e5-a594-00000aab0f26&acdnat=1453986936_5b154442b0dc932f73274f96af8c15be (accessed 20 January 2016). ↑ MIND. Housing and mental health. http://www.mind.org.uk/information-support/guides-to-support-and-services/housing/#.VhrBcLzLTq2 (accessed 8 October 2015). ↑ 28.0 28.1 28.2 Homeless Link. Mental health and wellbeing guide. http://www.homeless.org.uk/sites/default/files/site-attachments/Mental_Health_Guide.pdf (accessed 8 October 2015). ↑ 29.0 29.1 Lippert AM, Lee BA. Stress, coping and mental health differences among homeless people. Sociological Enquiry 2015; 85(3). ↑ Nottingham. My Unawareness of Mental Health Awareness Week. http://www.hercampus.com/school/nottingham/my-unawareness-mental-health-awareness-week (accessed 26 January 2016). ↑ 31.0 31.1 31.2 CRISIS. Mental ill health in the adult single homeless population. Public Health Resource Unit 2009. ↑ 32.0 32.1 32.2 The Queens Nursing Institute. Improving healthcare for homeless people: a learning resource. http://www.qni.org.uk/docs/Section%20B%20Module%202.pdf (accessed 21 January 2016). ↑ BBC. Homeless need mental health help. http://news.bbc.co.uk/1/hi/health/7980921.stm (accessed 9 October 2015). ↑ 34.0 34.1 Cauce AM, Paradise M, Ginzler JA, Embry L, Morgan CJ, Lohr Y, et al. The characteristics and mental health of homeless adolescents. Sage Journals 2000; 8(4): . ↑ World Health Organisation. "I had a black dog, his name was depression". https://www.youtube.com/watch?v=XiCrniLQGYc (accessed 18 December 2015). ↑ World Health Organisation. Substance abuse. http://www.who.int/topics/substance_abuse/en/9 (accessed 20 November 2015). ↑ Lowe J, Gibson S. Reflections of a Homeless Population’s Lived Experience With Substance Abuse. Journal of Community Health Nursing. 2011; 28: 92-104. Full version: http://www.ncbi.nlm.nih.gov/pubmed/21541871 (accessed 20 November 2015). ↑ Dawes J, Brydson G, McLean F, Newton M. Physiotherapy for Homeless People: Unique Service for a vulnerable population. Physiotherapy. 2003; 89(5):297-304. Full version: http://www.sciencedirect.com/science/article/pii/S0031940605600429 (accessed 19 November 2015). ↑ Edens et al 201 EL, Mares AS, Rosenheck RA. Chronically Homeless Women Report High Rates of Substance Use Problems Equivalent to Chronically Homeless Men. Women’s Health Issues. 2011; 21(5):383-389. Full version: http://www.ncbi.nlm.nih.gov/pubmed/21703865 (accessed 21 November 2015). ↑ Huntley SS. A Comparison of Substance Abuse Severity among Homeless and Non-Homeless Adults. Journal of Human Behavior in the Social Evironment, 2015;25(4):312-321. Full version:http://www.tandfonline.com/doi/abs/10.1080/10911359.2014.969125?journalCode=whum20 (accessed 21 November 2015). ↑ Bottomley JM. Health Care and Homeless Adults. Top Geriatric Rehabilitation. 2001; 17(1):1-21. Full version: http://journals.lww.com/topicsingeriatricrehabilitation/Abstract/2001/09000/Health_Care_and_Homeless_Older_Adults.3.aspx (accessed 22 November 2015). ↑ 43.0 43.1 National Institue for Drug Abuse. What Are the Effects of Common Dissociative Drugs on the Brain and Body? www.drugabuse.gov (accessed 5 December). ↑ Alzheimers Association. Korsakoff's syndrome. http://www.alz.org/dementia/wernicke-korsakoff-syndrome-symptoms.asp (accessed 27 January 2016). ↑ Alzheimers Society. What is alcohol related brain damage? https://www.alzheimers.org.uk/site/scripts/documents_info.php?documentID=98 (accessed 30 November 2015). ↑ St Mungo's. Health and homelessness:fckLRUnderstanding the costs and role of primary care services for homeless people. http://www.mungos.org/documents/4153/4153.pdf (accessed 27 January 2016). ↑ National Institute for Drug Abuse. Medical Consequences of Drug Abuse. http://www.drugabuse.gov/related-topics/medical-consequences-drug-abuse (accessed 5 December 2015). ↑ BUPA. Alcohol-induced cirrhosis. http://www.bupa.co.uk/health-information/directory/a/alcohol-induced-cirrhosis (accessed 5 December 2015). ↑ Connors GJ, Diclemente CC, Velasquez MM. Substance Abuse Treatment and the Stages of Change, Second Edition: Selecting and Planning Interventions. United States: Guilford Publications, 2012. ↑ Velasquez MM, Crouch C, Sternberg K von, Grosdanis I. Motivation for change and psychological distress in homeless substance abusers. Journal of Substance Abuse Treatment. 2000;19(4):395–401. ↑ Geber, G.. Barriers to health care for street youth. Journal of Adolescent Health. 1997;21(5): 287–290. Available from: doi: 10.1016/s1054-139x(97)00111-0. (Accessed 26 September 2015). ↑ 53.0 53.1 Martins, D. C.. Experiences of Homeless People in the Health Care Delivery System: A Descriptive Phenomenological Study. Public Health Nursing. 2008; 25(5): 420–430. Available from: http://www.ncbi.nlm.nih.gov/pubmed/18816359 (Accessed 27 September 2015). ↑ Pfeil M, Howe A. Ensuring primary care reaches the “hard to reach”. Quality in Primary Care. 2004;14(7): 23–26. Available from: http://www.omicsonline.org/open-access/ensuring-primary-care-reaches-the-hard-to-reach-1479-1064.1000191.pdf (accessed 1 October 2015). ↑ Nickasch B, Marnocha SK. Healthcare experiences of the homeless. Journal of the American Academy of Nurse Practitioners. 2009; 21(1):39–46. Available from: http://dx.doi.org/10.1111/j.1745-7599.2008.00371.x (accessed 27 September 2015). ↑ BBC. Asylum health hurdles. Available from: http://news.bbc.co.uk (accessed 11 October 2015). ↑ Lamb V, Joels C. Improving access to healthcare for homeless people. Nursing Standard. 2014; 29(6): 45–51. Available from: http://www.qni.org.uk/docs/Section%20B%20Module%201.pdf (accessed 26 September 2015). ↑ Healthlink. Listening to Homeless People: involving homeless people in evaluating health services. Available from: http://www.health-link.org.uk/publications/Listening_to_Homeless_People.pdf (accessed 5 October 2015). ↑ Gelberg L. Health, homelessness, and poverty. A study of clinic users. Archives of Internal Medicine. 1990; 150(11): 2325–2330. Available from: http://www.ncbi.nlm.nih.gov/pubmed/2241441 (accessed 28 September 2015). ↑ Melvin P. Mental Health and Homelessness: Guidance for Practitioners. Available from: http://www.qni.org.uk (accessed 10 October 2015). ↑ Taylor K., Naylor H., George R. and Hammett S..Healthcare for the Homeless: Homelessness is bad for your health. Available from: http://www.qni.org.uk/docs/Homelessness_is_bad_for_your_health.pdf (Accessed: 10 October 2015). ↑ 62.0 62.1 Kushel MB, Perry S, Bangsberg D, Clark R, Moss AR. Emergency Department Use Among the Homeless and Marginally Housed: Results From a Community-Based Study. American Journal of Public Health. 2002; 92(5):778–784. Available from: http://www.ncbi.nlm.nih.gov/pmc/articles/PMC1447161/ (accessed 9 October 2015). ↑ Watton R, Gallivan C.. The challenge of providing medical care to homeless men. British Journal of General Practice. 2013; 63(617):659–660. Available from: doi: 10.3399/bjgp13X675584 (accessed 28 September 2015). ↑ Homeless Link, St Mungo’s. Improving Hospital Admission and Discharge for People who are Homeless. Available from: http://www.mungosbroadway.org.uk (accessed 11 October 2015). ↑ Christiani A, Hudson AL, Nyamathi A, Mutere M, Sweat J. Attitudes of Homeless and Drug-Using Youth Regarding Barriers and Facilitatirs in Delivery of Quality and Culturally Sensitive Health Care. Journal of Child and Adolescent Psychiatric Nursing. 2008; 21(3):154-163. Full version: http://www.ncbi.nlm.nih.gov/pubmed/18667048 (accessed 20 November 2015). ↑ 72.0 72.1 National Healthcare for the Homeless; Clinicians Network. Adapting your practice; Treatment and recommendations for homeless people with diabetes mellitus. https://www.nhchc.org/wp-content/uploads/2011/09/DiabetesMellitus.pdf (accessed 5 December 2015). ↑ 73.0 73.1 Homeless World Cup. About. https://www.homelessworldcup.org/about/ (accessed 25 January 2016). ↑ 74.0 74.1 74.2 Bruckner J. Walking a Mile in Their Shoes: Sociocultural Considerations in Elder Homelessness. Top Geriatric Rehabilitation. 2001; 16(4):15-27 http://content.ebscohost.com/ContentServer.asp?T=P&P=AN&K=106929306&S=R&D=rzh&EbscoContent=dGJyMNLr40SeqLQ4yNfsOLCmr06eprZSsai4SbKWxWXS&ContentCustomer=dGJyMPGnsEuyqLdIuePfgeyx44Dt6fIA (accessed 20 December 2015). ↑ Torchalla I, Strehlau V, Li K, Krausz M. Substance use and predictors of substance dependence in homeless women. Drug and Alcohol Dependence. 2011; 118:173-179. Full version: http://www.ncbi.nlm.nih.gov/pubmed/21498010 (accessed 8 December 2015). ↑ Baltieri DA, Daró FR, Ribeiro PL, De Andrade AD. The role of alcoholic beverage preference in the severity of alcohol dependence and adherence to the treatment. Alcohol. 2009; 43:185-189. Full version: http://www.ncbi.nlm.nih.gov/pubmed/19269773 (accessed 10 December 2015). ↑ Swezey J. Systemic factors effecting wound healing. Wound educators 2014. Full version: http://woundeducators.com/systemic-factors-affecting-wound-healing/ (accessed 26 January 2016). ↑ Promises. Long Term Effects of Alcohol on the Body. https://www.promises.com/eoa/ (accessed 4 December 2015). ↑ Stubbs B, Winstanley S, Alderman N, Birkett-Swan L. The risk of assault to physiotherapists: beyond zero tolerance? Physiotherapy. 2009; 95: 134-139. Full version: http://www.ncbi.nlm.nih.gov/pubmed/19627695 (accessed 6 December 2015). ↑ World Health Organisation. Substance abuse. http://www.who.int/topics/substance_abuse/en/ 9 (accessed 20 November 2015). ↑ Shelter England. What is it like to be homeless? http://england.shelter.org.uk/campaigns_/why_we_campaign/tackling_homelessness/what_is_homelessness_like (accessed 29 January 2016). ↑ Longabaugh R, Morgenstern J. Cognitive-Behavioral Coping-Skills Therapy for Alcohol Dependence. Alcohol, Research and Health. 1999;23(2): 78-85 file:///C:/Users/My%20acer/Downloads/cognitive%20behavioural%20coping%20skills%20therapy%20for%20alcohol%20%20dependence%20(1).pdf (accessed 13 December 2015). ↑ Physiopedia. Cognitive Behavioural Therapy. http://www.physio-pedia.com/Cognitive_Behavioural_Therapy (accessed 15 December 2015). ↑ Physiopedia. The Inclusion of CBT in Physiotherapy Education. http://www.physio-pedia.com/The_Inclusion_of_CBT_in_Physiotherapy_Education (accessed 14 December 2015). ↑ Treasure J. Motivational Interviewing. Advances in Psychiatric Treatment 2004; 10(5):331-337. Full version: http://apt.rcpsych.org/content/10/5/331 (accessed 25 January 2016). ↑ Homeless Resource Centre. Best practice for providers: motivational interviewing. http://homeless.samhsa.gov/channel/motivational-interviewing-32.aspx (accessed 21 December 2015). ↑ The Homeless Resource Centre. Best practice for providers: Motivational Interviewing. http://homeless.samhsa.gov/channel/motivational-interviewing-32.aspx (accessed 28 January 2016). ↑ Baer S, Garret S, Beadnell B, Wells E, Peterson P. Brief motivational intervention with homeless adolescents: Evaluating effects on substance use and service utilization. Psychology of Addictive Behaviours 2007:21(4);582-586. Full version: http://psycnet.apa.org/journals/adb/21/4/582/ (accessed 22 January 2016). ↑ Department of Health. A framework for personalised care and population health for nurses, midwifes, health visitors and allied health professionals. https://www.gov.uk/government/uploads/system/uploads/attachment_data/file/377450/Framework_for_personalised_care_and_population_health_for_nurses.pdf (accessed 22 January 2016).